With hundreds of adult industry and media elite in attendance, the 2019 XBIZ Exec Awards was historical to say the least. For the first time in XBIZ awards history, the 2019 Community Figure of the Year award was won by a lawyer. Adult entertainment lawyer Corey D. Silverstein is the winner of the 2019 Community Figure of the Year award. The award was supposed to be presented by JuicyAds’ very own Juicy Jay but in an unplanned twist, the award was presented by MojoHost founder Brad Mitchell. In a spontaneous award acceptance speech, adult entertainment attorney Corey D. Silverstein congratulated his co-nominees, (Kenny B – YourPaysitePartner, Ela Darling – PVR.fun, Tim Henning – ASACP, Alex Lecomte 7Veils, Eric Paul Leue – Free Speech Coalition, Kristel Penn – Grooby, Michael Plant – Qwebec Expo, Morgan Sommer – Cybersocket, Kathi Stout CCBill); and was obviously emotional and humbled by the victory. XBIZ.com did an excellent job covering the 2019 XBIZ Exec Awards and you can view the full coverage here. 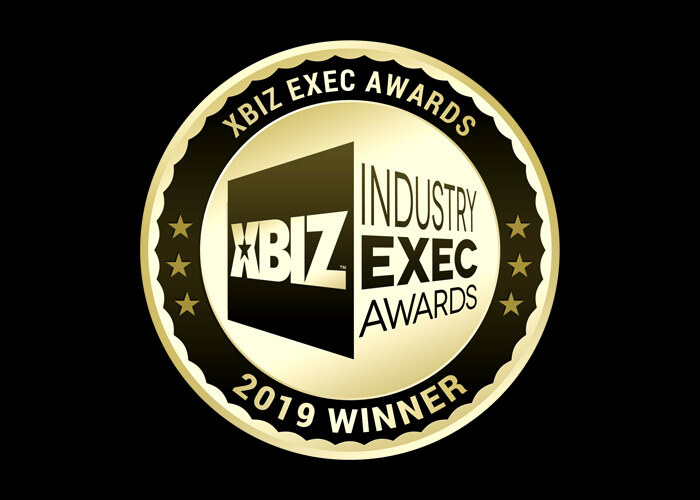 Silverstein Legal is very proud to have its founder and leader, adult website attorney Corey D. Silverstein as the first ever attorney to win an XBIZ award.